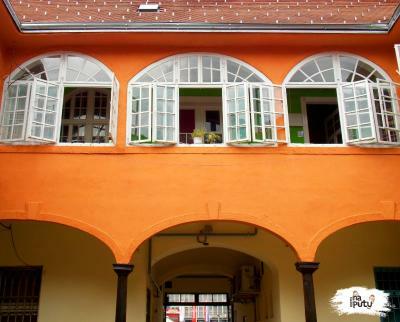 Lock in a great price for Hostel Na putu – rated 9 by recent guests! The hostel is calm and near to bus terminal. Staff is nice. I was the only one in the hostel and everything was perfect! 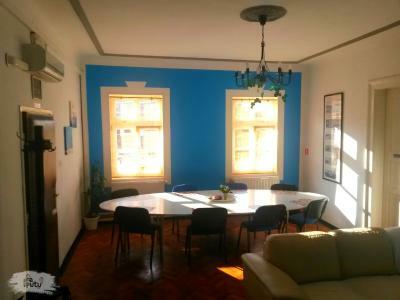 The hostel is very tidy and spacious very close to the city center and the castle, the room very good and the staff exceptional!! I recommend it! The hosts are very king and helpfull. 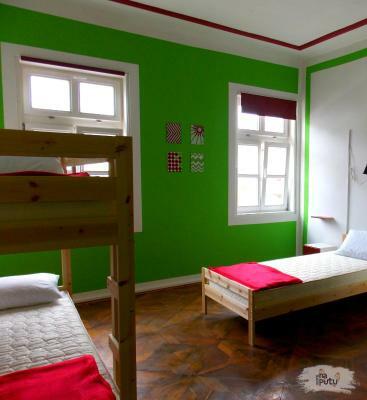 The place is not far from the bus station which make this hostel a good strategic point. This place exceeded all my expectations! 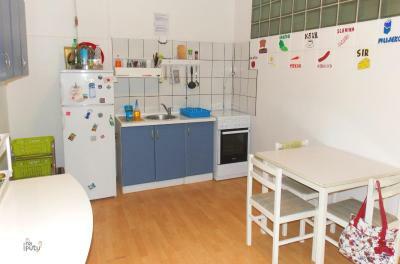 The place is very clean and spacey, and the host is very nice and friendly. 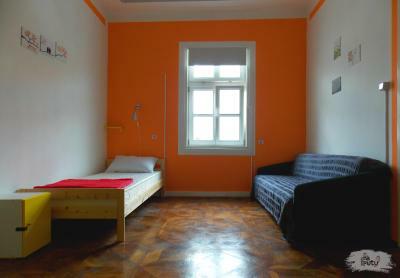 At the time I was staying there, the hostel was almost empty, so I enjoyed the silence. 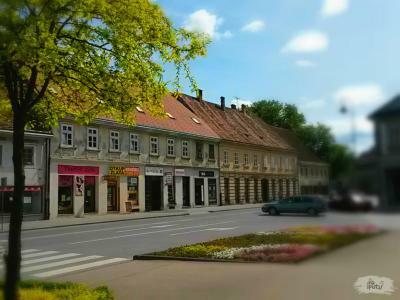 You can find information about Karlovac and surroundings, and everything you need is a short walk away. Too sad I didn't have time to stay there for a few days more. I really liked the host. She was Very Nice and helpful! We has clean Sheets and towels. Everything was like I hoped. Also the lockers were free! Very Good location. All the bars and old town were close by. Also the Dubovac castle was only half an hour walk away. Recommend for a short stay! Susretljivost osoblja, urednost, pozicija, cijena. It was a magical combination. Great location. Amazingly nice property. Historic building. Top it up with the best hosts ever. They treat guests like home guests and the place is clean like a home. My name is Desh Bir and i am from India. I travel a lot for work and pleasure and always prefer to stay at a hostel where available. It is rare that i have found a great combination of all the factors. The rooms are large so it is not crowded, the staff is really friendly and ready to meet your needs. 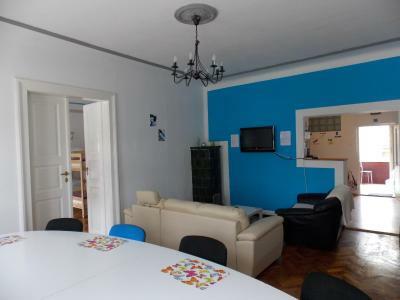 The hostel is in the centre of the city so everything you need to see/do is in walking range. Great value for money! Very good stay! I was the only guest and Marco came and started up the place just for me. Like I had my own apartment. Very appreciated! Good beds and facilities. Cozy and charming. Showers (water temp & pressure) were good. One of our best sellers in Karlovac! 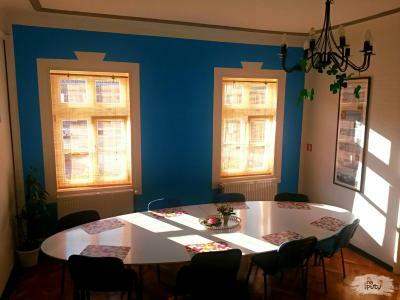 Hostel Na putu is located in the center of Karlovac and is easily accessible from the Main Bus Station which is 2,300 feet away. The property offers free WiFi in all areas while in the shared lounge a computer is available for guest use. Mrežnica River with its beaches is 2.5 mi away. At Hostel Na putu you will find a terrace and a shared equipped kitchen. Other facilities include luggage storage. 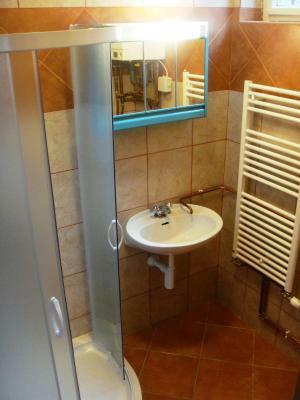 Shared bathrooms come with a hairdryer and a washing machine. The nearest grocery store is a short walk from the hostel, while the central green market is 1,650 feet away. 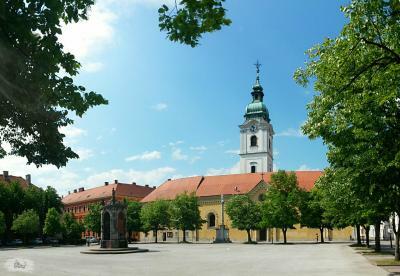 The Old Town of Karlovac with its sights, shops and restaurants is 1,650 feet away. The more adventurous can enjoy the nearby rivers of Mrežnica and Kupa offering rafting and kayaking options. Karlovac Main Train Station is 0.9 mi away, while Zagreb Airport is 39 mi away. 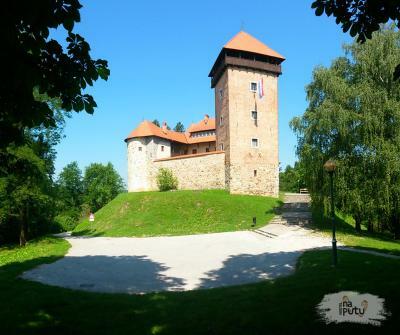 This property also has one of the top-rated locations in Karlovac! Guests are happier about it compared to other properties in the area. 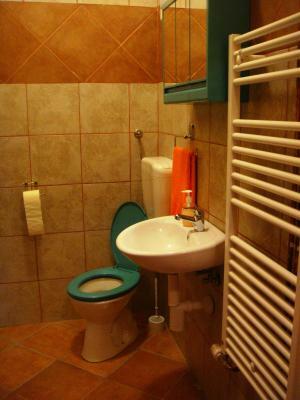 This property is also rated for the best value in Karlovac! Guests are getting more for their money when compared to other properties in this city. When would you like to stay at Hostel Na putu? This dormitory has a shared bathroom with a washing machine and a ceiling fan. Guests can use common kitchen, dining and lounge area. Bed comes with towel and linen, security locker, shelf and reading light. Guests can use common kitchen, shared bathroom, dining and lounge area. 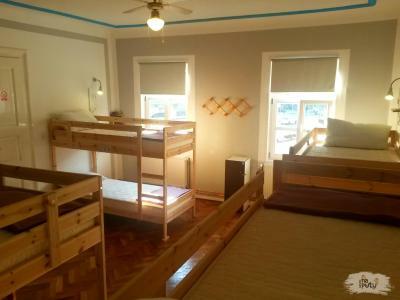 This room is interconnected with the 5-bed mixed dormitory room and features a ceiling fan. 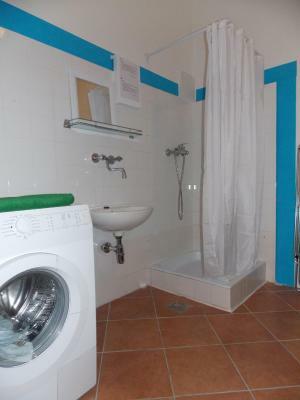 This air-conditioned dormitory has a shared bathroom with a washing machine. Guests can use common kitchen,dining and lounge area while bed comes with a towel and linen, security locker, shelf and reading light. House Rules Hostel Na putu takes special requests – add in the next step! Hostel Na putu accepts these cards and reserves the right to temporarily hold an amount prior to arrival. Please inform Hostel Na putu of your expected arrival time in advance. You can use the Special Requests box when booking, or contact the property directly using the contact details in your confirmation. As I was there alone, I would prefer an option to lock the door of my room. Cannot accept credit card but the description from the website does not mention. I had a wonderful stay at Hostel Na putu. A very sudden decision to stay in Karlovac for the night turned out memorable. Karlovac is a tiny city but with the access to sp many rivers you don't need much more on a hot summer day. The hostel was clean and cool with air con. Doris was very helpful and kind, you could see she enjoys hosting people in her hostel. Highly recommend! The room was so hot, there was no air in the room. No warmth/ambiance in the building. The staff was very friendly. But not very present. They have a kitchen. There’s not always someone at the reception, so you might have to call them at the number indicated on the door. Someone will arrive quickly but it might be an issue if you dont have a cellphobe. Very Nice host and a comfortable place. 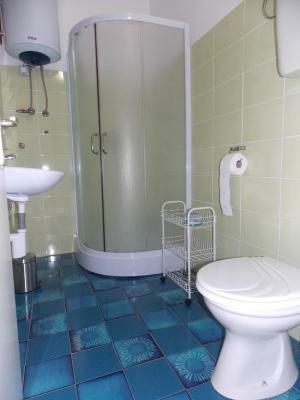 The toilets and showers seemed like they may not have been cleaned recently. Nothing awful though. 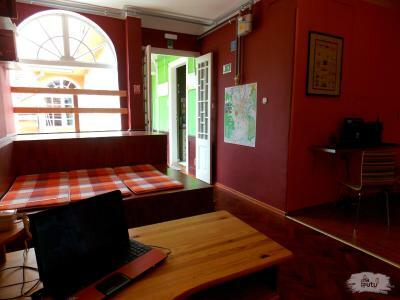 This is a very homey hostel; the whole setup has a very comfy & homey feel. It has a large living room with a gigantic dining table, a big and fully equipped kitchen, multiple showers & toilets, the dormitory I stayed in is spacious, and each bed has a clip-on lamp and a small locker. I was the only person there during my stay and the place is very clean. The staff is also very friendly. Would definitely recommend staying here!